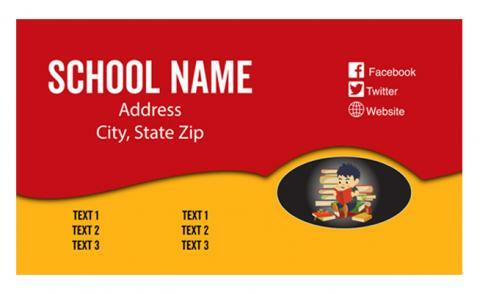 Customized 3.5 x 2 school contact magnet square corners – 20 MIL are definite to become a great hit during your next school event or parents-teachers interaction programs. You can get this square cornered business card magnet imprinted with school mascot and contact information in colors prior to gifting. This refrigerator magnet remains largely affordable for even educational marketers working in small budget. Perfect for bulk gifting on various occasions because offer heavy discounts on large orders. Request a quote to know more about wholesale savings that you can avail on personalized 3.5 x 2 school contact magnet square corners – 20 MIL. Product Size : 2 in. x 3.5 in.